Cork in a handset? Now, there's something you don't see every day. That's definitely how ikimobile's booth at MWC 2018 caught our eye. Well, the tree they had set up on the show floor helped draw some attention as well. But, it was the ecological and sustainability pitch that really piqued our interest. 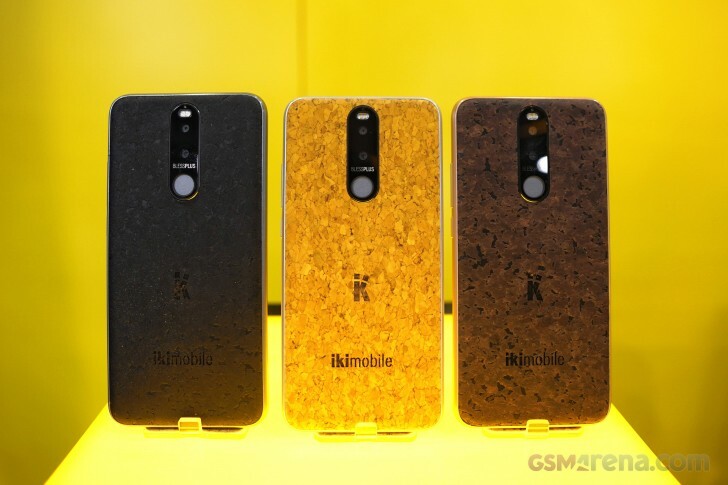 Ikimobile takes a firm stand on the matter, by working mostly with cork - 100% natural, renewable, and recyclable with no carbon footprint and no harmful emissions. The company also prides itself on manufacturing independently in its home Portugal market and engaging in various other sustainability, waste-management and fair labor initiatives. So, how well does this approach actually work for a phone? Surprisingly good, to be frank. At the booth, we checked out the company's latest BLESSPLUS smartphone. It's a phone with increased shock resistance, which is a key selling feature on its own. The company's reps used every chance to drop it on the floor in front of unsuspecting passers-by around their MWC booth. 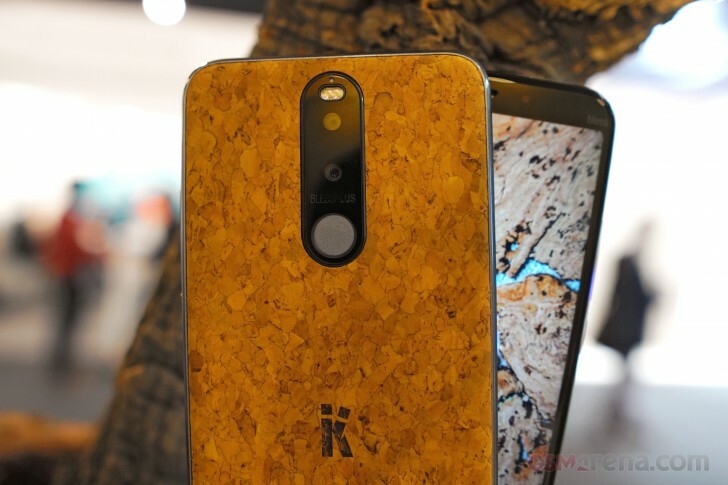 The phone's claim to fame, however, is the back made out of natural cork. The material provides nothing short of a unique look and feel. It is available in black and two shades of wood brown, complete with a distinctively textured surface. You can refer to the nearest bottle of wine for some point of reference. Naturally, we had a lot of question. First, of course, the matter of durability. The cork seemed to be packed together really tightly, providing a very sturdy feel. 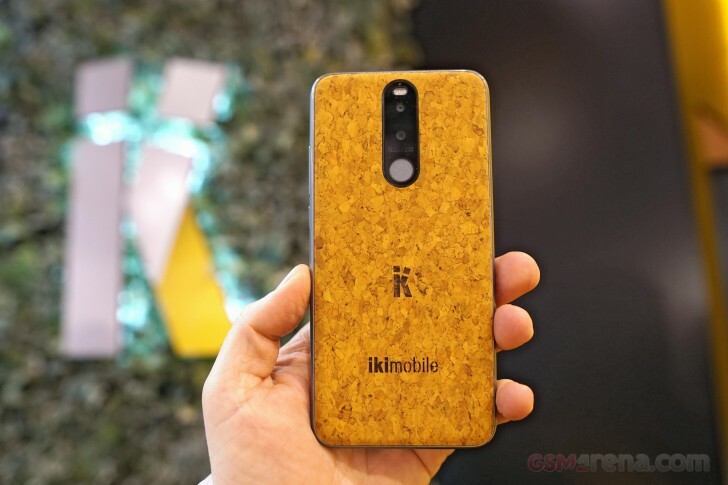 Ikimobile actually claims that after subjecting the cork to "agglomeration carried out using its own resins (suberin)", it can retain its technical characteristics for up to 50 years. We'll pretend we understand what this process is about and we will give them the benefit of a doubt. Nobody will use a handset for so long that's for sure. 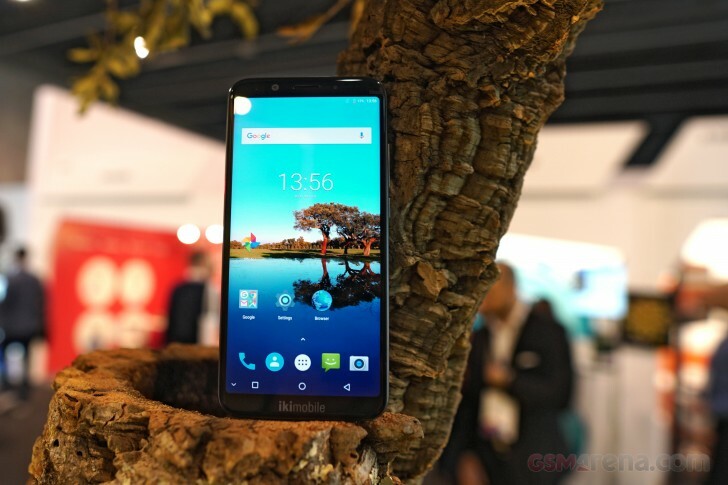 So, the ikimobile reps were kind enough to put things in practical terms by showing us one of their earlier models - a KF5Bless Cork Edition, that had been used for over a year on a daily basis. We have to say, it looked spotless. No dents, cuts, chips or anything we had expected. Prying even further into the matter, it turns out the eco-friendly nature of the handsets is more than skin-deep. 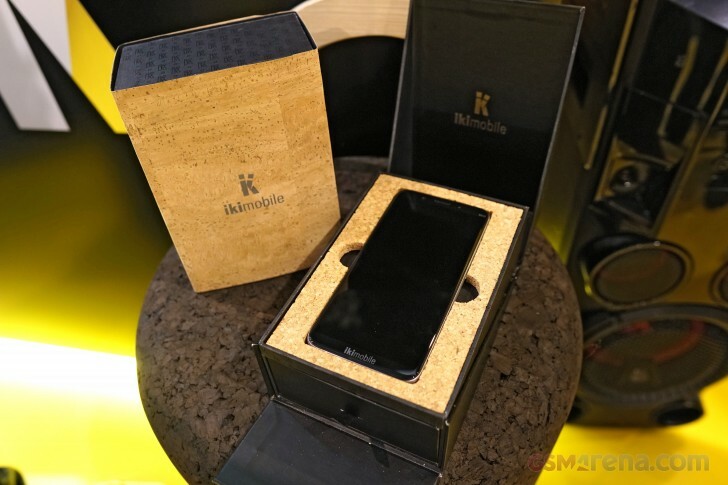 Underneath the back panel of ikimobile handsets, there is even more cork, providing internal structural support. Apparently, the material can support vast thermal variations, between -180 degrees and 120 degrees Celsius. Plus it boasts anti-vibration and insulation properties. Burning it releases no toxic gasses since ikimobile does not mix anything synthetic in. 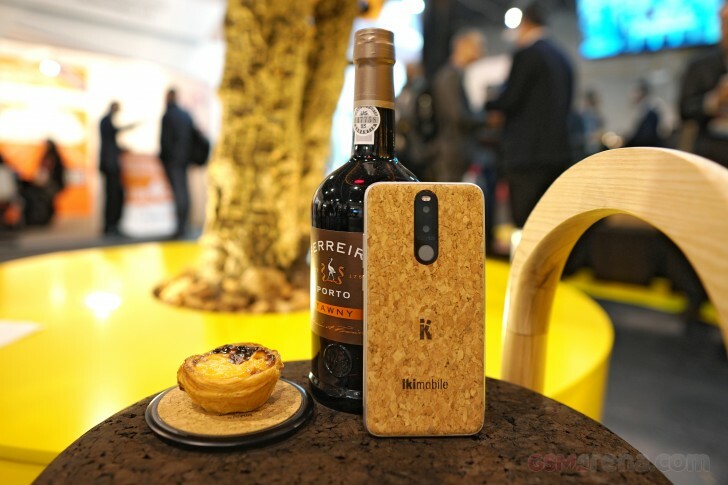 The reps were also kind enough to explain that it really did make sense for them to use as much of the stuff as possible, wherever it fits in, even in the boxes, since sourcing the raw material is not harmful to the cork trees. On the contrary, it is a renewable produce, and each tree can be harvested once every 9 years and removing the product is actually good for the tree itself. Plus the whole production process is very low-energy. The more you know! So, bottom line, cork is great. But what about the rest of the BLESSPLUS? Well, it's actually a decent device. Its frame appears to be made of metal - not really as eco-friendly as the rest of it, but if you are going to worry about electronic waste, the actual circuitry and batteries should be higher on your list. On the front, the BLESSPLUS looks like a normal 2018 smartphone, complete with a decent, although not impressive in any way, 5.99-inch, 18:9, FullHD IPS panel, covered with an undisclosed Gorilla Glass finish. Hardware-wise, you get a MediaTek Helio P20 chipset, with 6GB of RAM and 64GB of expandable storage. A 3,800 mAh battery keeps the lights on. It can be topped off through some sort of fast charging, likely Pump Express 3.0, via a Type-C port. Wireless charging is also part of the mix. Other specs include a fast, rear-mounted fingerprint reader, Dual-SIM support, and a standard connectivity loadout. For photography, there are two 13MP snappers on the back, the second one with a telephoto lens. Ikimobile claims f/1.8 on both, but we have our doubts regarding the telephoto. Selfies are handled by a 5MP unit. The BLESSPLUS has a footprint of 157.5 x 75.8 x 9.25mm and runs Android 7.0 out of the box. Pre-sales are already live on the company's website, with an asking price of € 359.99, which looks to be an early-bird special. Yes, cork is a great thermal insulator, that is, keeps in heat in, and the cold out.